Our private, bright and inviting Board Room features a beautiful maple table, and accommodates up to 25 people. A 42 inch flat screen TV with HDMI and Apple TV airplay features supports digital presentations, and the Board Room also features a 15 foot whiteboard wall for mapping out ideas or making visual presentations. Rent the room hourly or by the day. Email info@thecreatorspace.com if you have additional questions. 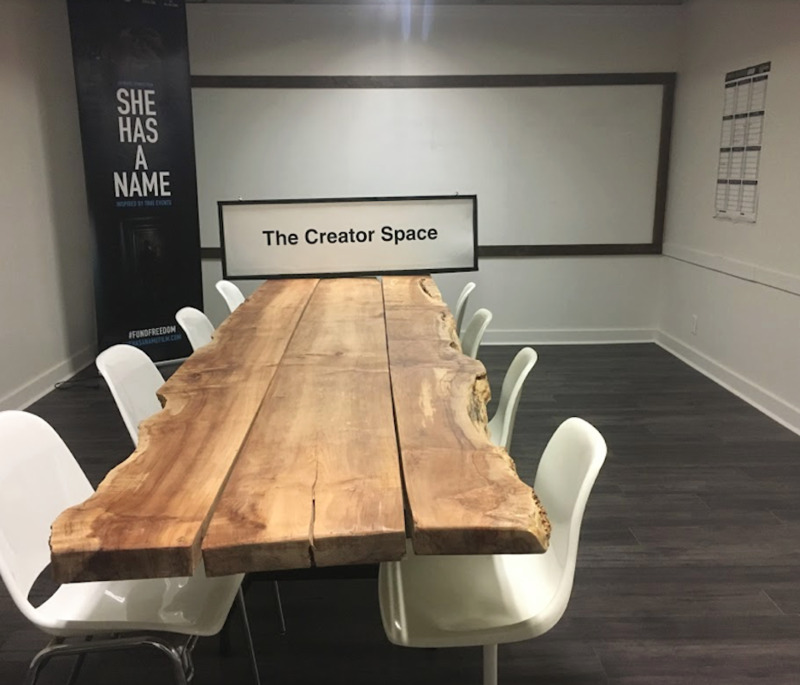 Espresso machine, lobby with seating area and bathroom facilities available in The Creator Space facility for Board Room renters.